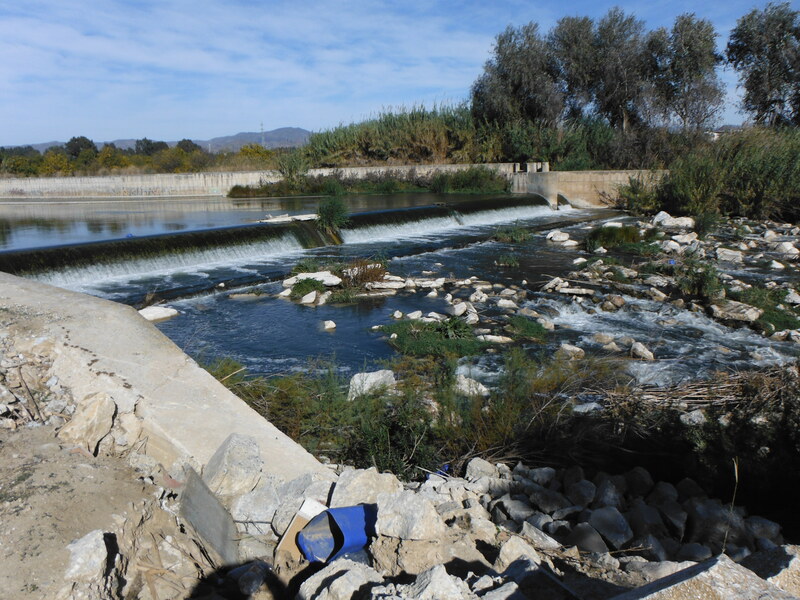 It is now a little year since Norman Smith showed me a nice stretch of the Guadalhorce. He asked me not to publicise it and, out of respect for his wishes, I will say little beyond the fact that it is a little way off the beaten track. It was November when we visited this particular stretch and there were fish in the margins. We saw a few carp, some nice ones too, and even managed to catch a couple. I visited this part of the river again yesterday evening and it seemed well out of sorts. 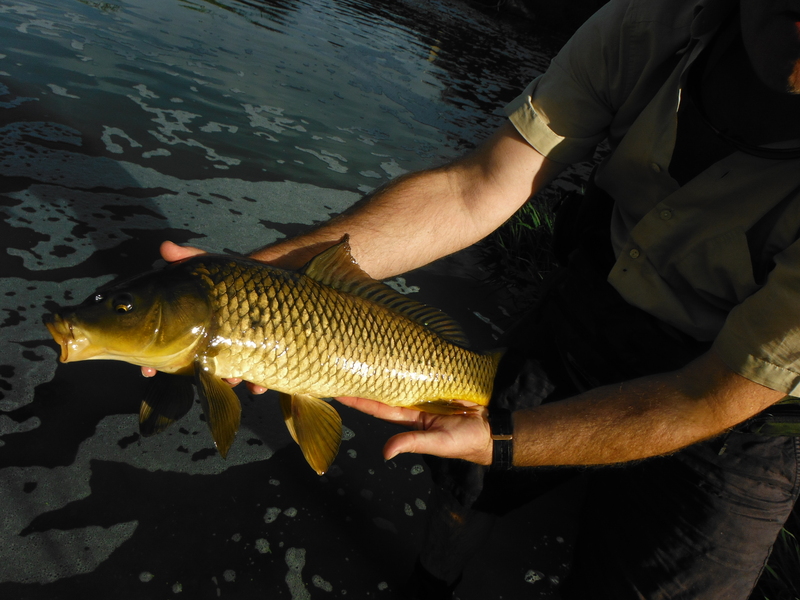 Some guy I met on here earlier in the summer told me that the river had been polluted some way upstream and a local goat herder had seen a lot of dead barbel and carp on the surface a few days previously. It certainly seemed yesterday as though many of the fish were gone. If the fish have suffered a die off it will not be the first time. 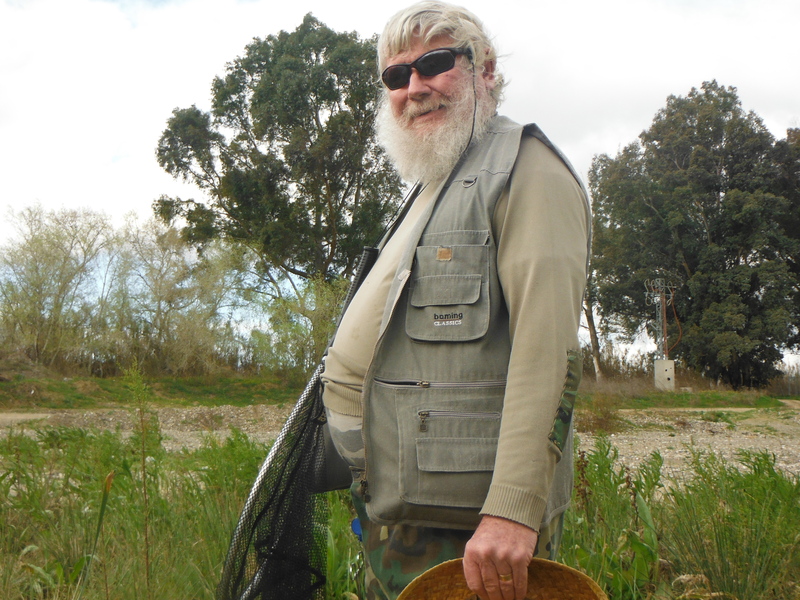 Norman has fished a lifetime here and has seen the fish completely killed off along sections of the river on several occasions. The good news, if there is good news, is that the fish populations are resilient and bounce back eventually. 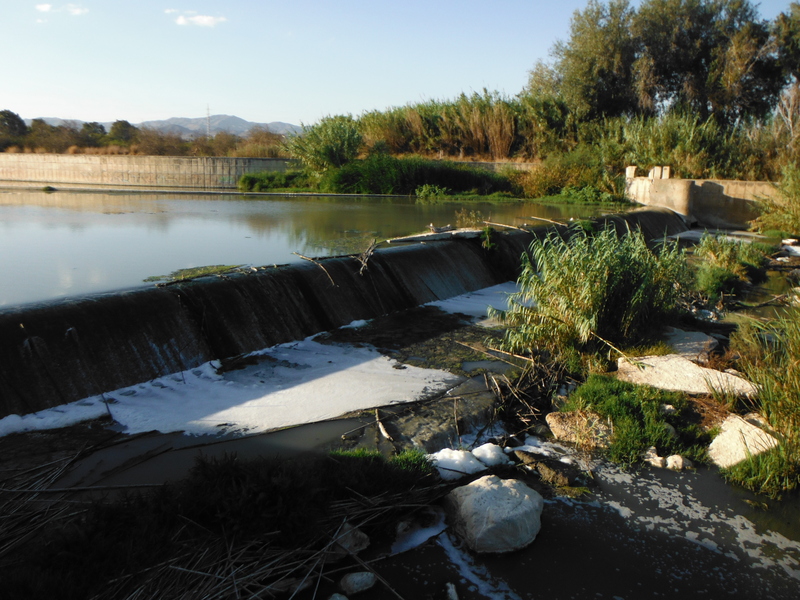 Even so, it is hard to witness a little oasis, accessed through a trek through citrus groves, being brutalised in this way. In the end I just walked the bank looking for signs of fish. The better fish were nowhere to be seen and I deliberately threw shadows over shallows where fish might be holding in the current. If they had been there I would have flushed them and they would have given themselves away. But they were not in the shallows. A foam line on the opposite side of the wide stretch looked like it might have had fish in it since foam was disturbed from beneath. But I did not have the heart to explore further. As I walked along the bank the water erupted with scattering fry like the very edge of rain shower. I could move the cloud at will as it seemed to be pushed along by my shadow. If the big fish were truly gone this little shower was a sprinkling of hope for better times to come. Better times. The river here back in November. Around Easter time we saw barbel attempting to leap the weir just as salmon do. The same part of the river yesterday evening.